If you check Windows Update today you’re in for a big surprise. Microsoft pushed out the latest version of the world’s most popular desktop operating system today and, in a first for Microsoft, offered it for absolutely free. The release hopes to address many of the complaints people had about Windows 8 after it had a shockingly bad uptake rate and is widely considered to be one of the least popular operating systems Microsoft ever released. Even today Windows 8 and Windows 8.1 account for a mere 15% of all web traffic according to NetMarketShare.com, lagging behind Windows 7. 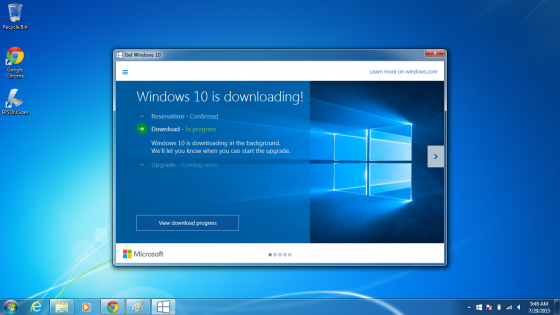 If you’re one of the folks on Windows 7 or Windows 8 that signed up to receive the new Operating System, you’ll get a pop up asking you if you want to go ahead, and the usual license agreement. From there Windows Update downloads the relatively giant 2 GB update to your machine, asks you to reboot and gets to work. From here there’s not much to it. Thirty minutes at a loading screen and you’re done. Compared to Microsoft Upgrades of old, this is by far one of the easiest we’ve ever done. 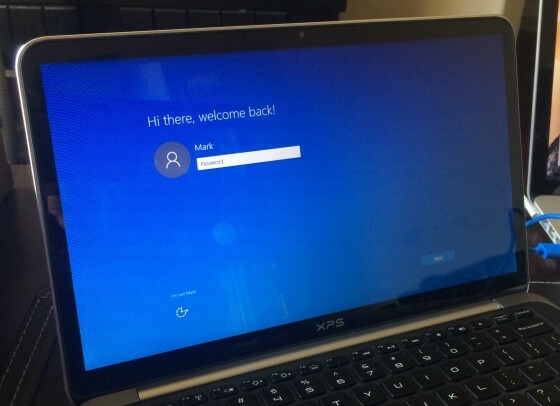 If you’re on a laptop or a desktop the first thing you’ll see when you enter your password (and accept the licensing agreement) and login to the new desktop is a shiny, and frankly beautiful, rendition of the Windows Logo accompanied with Microsoft’s new dynamic taskbar and start menu that changes color depending on what your wallpaper is, with the new Cortana search box dominating the left hand side. Tablet users will have a slightly different experience as they’ll see the Metro start screen that was so heavily criticized in Windows 8. But, it’s easy to change to the brand new one by typing ‘Navigation’ and clicking the checkbox. Despite being nearly fifteen years old, the Start Menu got its debut with a Rolling Stones song and both still remain incredibly popular to this day. 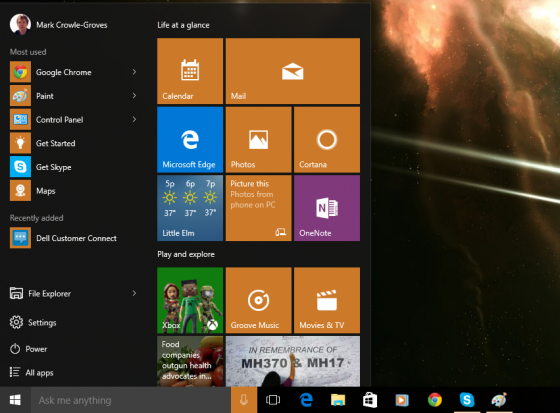 With Windows 8, Microsoft made a dramatic change to the start menu by removing it completely and replacing it with a full screen, tile based interface called Metro. And just like the last major OS release Microsoft Made, the new start menu is perhaps the biggest change to the OS, only this time it comes with a blend of the traditional 15 year old menu and the heavily criticized Metro interface with smooth animated tiles and plenty of color. While I’m probably one of the few who were big fans of Metro when it was first released, I can easily see its downfalls. But despite the rather drastic change the new start menu works out very well providing just the right balance between the two worlds while still leaving you some screen real estate and still making it easy to get to what you want either from the large application tile or a folder buried further down. 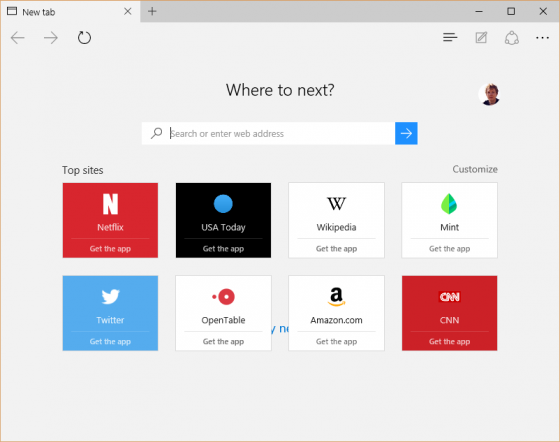 Combined with Cortana, there shouldn’t be any need to dig too deeply into the menu to find what you’re looking for. Searching by either text or voice quickly and easily brings up what you’re looking for. In a somewhat unexpected move, Cortana, Microsoft’s voice assistant, made its way from the phone onto the desktop, offering voice search to everyone with a microphone. 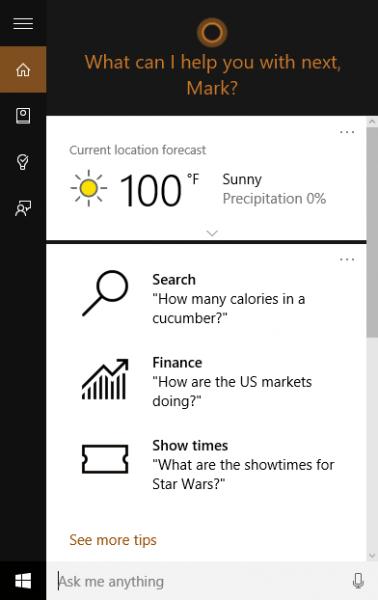 Cortana was first introduced onto Windows Phones just over a year ago and does many of the same things that Siri, and Google’s personal assistant can do, such as search the web, set reminders and alarms etc, but now with the added bonus of interfacing directly with your computer. Voice recognition isn’t new in Windows, with Windows 7 offering the first iteration and offering one of the better pieces of voice dictation software out there, but rarely has voice recognition been as personal as it is today, and never has it been so attractive. Cortana speaks smoothly and clearly in a way that leaves the ‘automated phone voice’ style we’ve come to expect from digital personal assistants, a very distant memory. 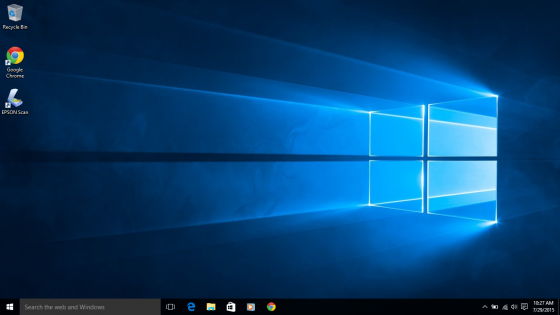 While it’s not immediately obvious, Cortana isn’t set up by default. You’ll need to click on the Cortana ‘circle’ to begin the short setup process which includes signing into your Microsoft account. When you’re done, you can tell Cortana to start listening by clicking the icon, or simultaneously pressing the Windows Key and C. For those who want a more hands free approach, you can tell Cortana to listen all the time by enabling “Hey Cortana”. Overall, Cortana works well. The voice recognition is arguably better than Siri which struggles to understand my British accent, and unlike other Personal Digital Assistants, Cortana offers you the ability to train her more to your voice and overall increase her accuracy. The fact that Cortana isn’t always listening for the magic keywords unless you tell it to is a nice bonus sure to help many privacy concerns go away. Also new to Windows 10 is Microsoft’s first browser since Internet Explorer and while time will tell if this proves to be the revolutionary Internet Explorer that Microsoft wants it to be it certainly seems to be giving it a very good try, with most websites loading just as they would in any other browser with only the occasional speed hiccup or graphic rendering issue. 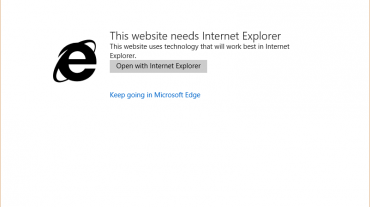 And, in one of the most well thought out workarounds Microsoft has ever come up with, if there’s a website Edge doesn’t think will work very well it tells you and allows you to continue everything in Internet Explorer by clicking one simple button. 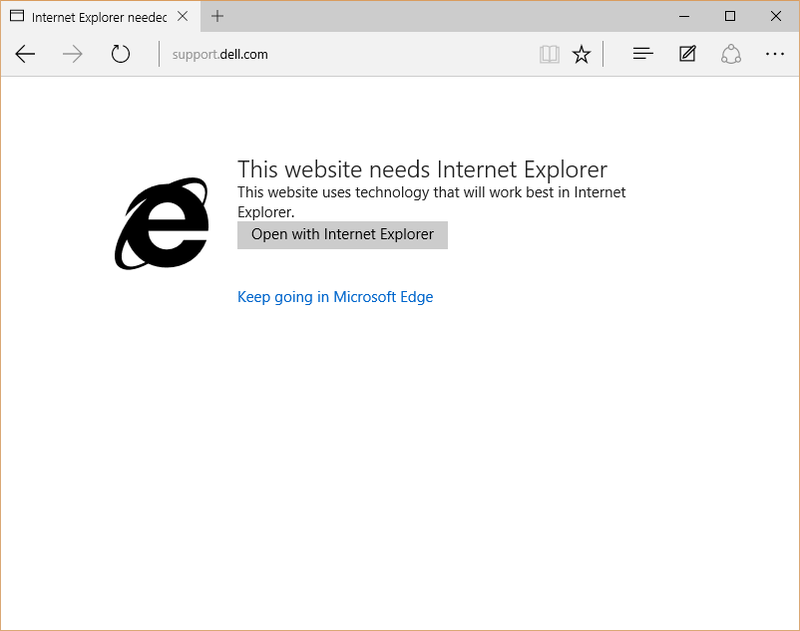 In my testing I only found a handful of sites that Edge thought it couldn’t handle, and even then when forced, Edge performed admirably. Microsoft added spit and polish everywhere from the mail and calendar apps to the control panel and more, but perhaps one of the most lacking in these is the new Notification Center. In Windows 8, the notifications pane included six buttons and a fairly uncomplicated menu system. This time however the number doubles to 12 in a 4×3 grid. It might give you added functionality, but it does it in a way that may end up scaring some users off simply due to the sheer number of buttons. The OS includes a number of other cool little features to make it both more useable and personal. Admins will appreciate the enhanced task manager that now includes a far more detailed process monitor that you previously couldn’t get without 3rd party applications. On the other hand, users are likely to notice little touches here and there such as when an application asks for your location. Previously, most applications provide a very generic place when asking you to enter a location. Now, applications have the ability to provide examples of places that are near to you. Should You Install it Yet? It’s scarcely been out for 12 hours but so far, Windows 10 is proving to be relatively stable. With only one crash so far in a fairly rigorous and demanding day. The crash in my case was caused by a bad mouse driver. Despite the high praises that mouse driver is exactly the reason why you probably shouldn’t install it just yet. Conventional schools of thought say that it’s generally not a good idea to install an Operating System on the day it’s released as many manufacturers haven’t quite caught up with getting compatible drivers out, and that’s probably still a fair statement to make. There are still a few issues where the operating system feels laggy, the occasional graphical glitch, and some driver incompatibilities that ultimately make it unwise to use this as your daily driver, but I would expect that to clear up in a week or two after the first set of patches roll out, and manufacturers update their drivers. But, if you have the time and something to test with (if my experience was anything to go by on a 3 year old laptop) Microsoft is clearly getting better at crash handling and ultimately producing a very stable OS. You should have fairly smooth sailing. Just make sure to backup your files first no matter which way you decide to do this. Here are a few more pictures to show you a little more of what Windows 10 can do while you wait for your copy to download. In the meantime, if you have additional thoughts or questions, drop them in the comments below and we’ll get back to you ASAP. If you find that Microsoft Money does not open and asks you for IE 6. You should now be able to open Microsoft Money without any issues.